Living... in a pineapple under the sea. He has a great life in the town of Bikini Bottom, living with his pet snail Gary just two doors down from his best friend Patrick Star. He also lives next to the ill-tempered octopus Squidward Tentacles. He finds Spongebob completely annoying, but the obliviously joyful Spongebob considers Squidward one of his best friends. Profession... fry-cook at Bikini Bottom’s biggest fast food restaurant, the Krusty Krab. Spongebob loves his job, and he’s really good at it too. He sees his boss, Mr. Krabs, as a father figure, but Mr. Krabs is too obsessed with money to notice. 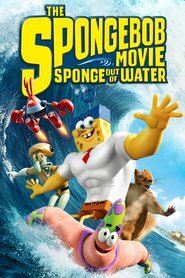 Aside from cooking up tons of Krabby Patties, Spongebob is tasked with guarding the Krabby Patty Secret Formula from the restaurant’s evil rival, Plankton. Interests… fishing for jellyfish and hanging out with his friends. He loves learning karate and dancing and using his expansive imagination to make each day an adventure. He’s also still working on getting his driver’s license from Mrs. Puff’s Boating School, but he just can’t seem to get the hang of driving. In the meantime, he just rides around on his unicycle. Relationship Status... single. Spongebob has shown hints that he may have an interest in the adventurous squirrel Sandy, but at the end of the day, they’re just friends. Spongebob has too many hobbies, interests, and Krabby Patties to make to have time for a romantic relationship. Challenge... trying (and failing) not to annoy everyone around him. 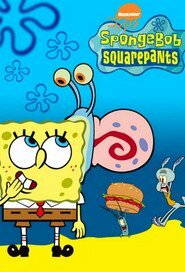 Spongebob’s kindness can be overbearing at times, and even though he’s friends with everyone in town, they all get exasperated with him to different degrees. There’s even a “National No Spongebob Day” to allow everyone some time away from him. Even though they burn a Spongebob effigy, he’s just honored that he served as the inspiration for a holiday that makes them all happy. Personality... cheerful, optimistic, and friendly. Even though his sunny disposition can be too much for others to handle at times, he’s such a good friend to everyone that they love having him around. 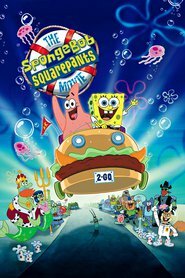 SpongeBob SquarePants 's popularity ranking on CharacTour is #53 out of 5,000+ characters. See our top-ranked characters and read their profiles.